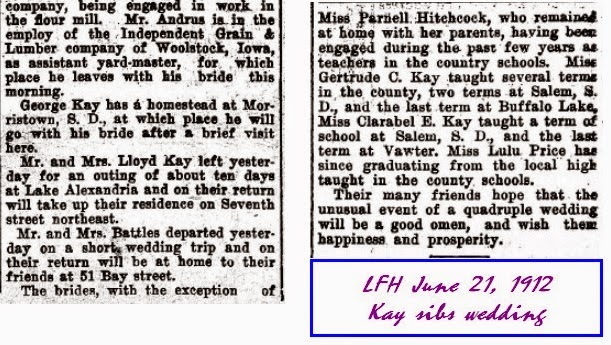 No, there's no relationship with us and the Kay family of Little Falls--but the wedding and write up from the Little Falls Herald reminded me of this pic from the Morrison Co Atlas, and it's cool to put them together here for posterity, and because I can ☺ (I was sure this was already posted, but I can't find it). 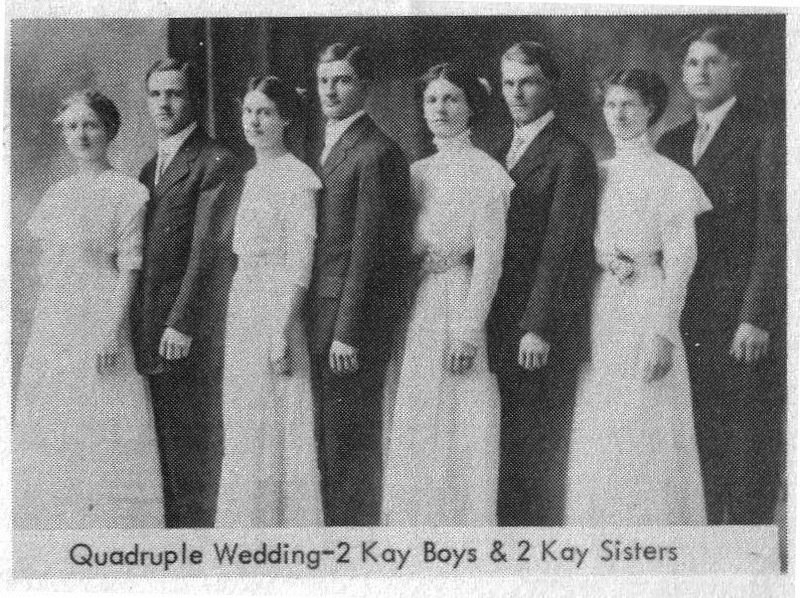 So here's the story: siblings Gertrude, Clarabel, George and Lloyd Kay were married on the same day at the same time in June, 1912. The write-up sounds lovely, and certainly, the pic above is memorable. 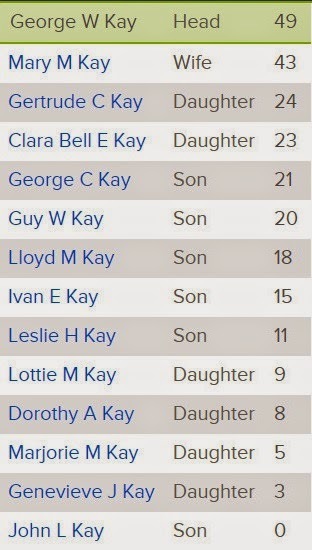 Oh, and here's the 1910 census of the George Kay family--there were plenty more kids available for future weddings, not to worry.